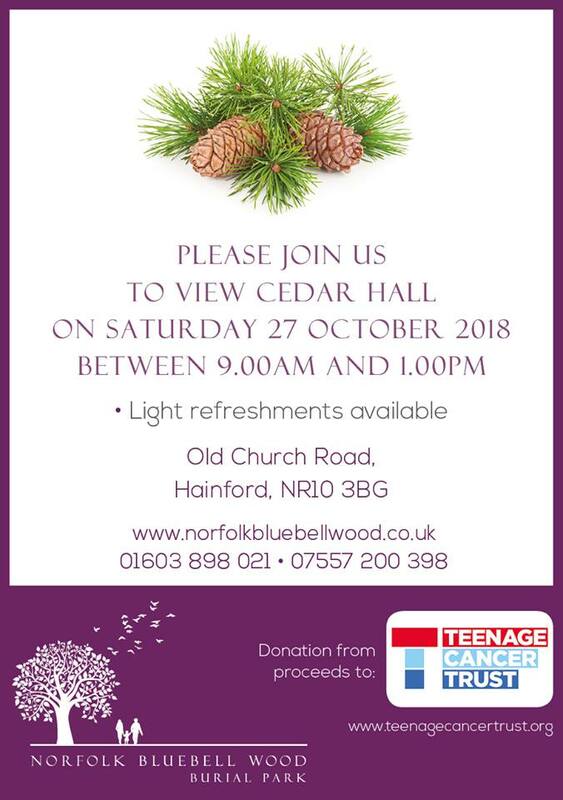 The official opening of Cedar Hall, Norfolk Bluebell Wood Burial Park. I was honoured to attend the official opening of the beautiful Cedar Hall at the Norfolk Bluebell Wood Burial Park yesterday. The Cedar Hall is the product of ten months of extremely hard graft and the fruition of a vision that dates back several years. And at the heart of that vision has always been a fundamental ethos, to allow the community to enjoy the tranquility of the space and to simply be at one with nature. Why not pop along on Saturday – you will be very warmly received by the wonderful team at the Park and can experience first-hand the beauty and serenity of the space. Wishing my colleagues at Norfolk Bluebell Wood Burial Park the very best for the future (please note that although we both have ‘Bluebells’ in our company names, I have no connection with the Park apart from being fortunate enough to have the pleasure of conducting services there from time to time! ).